I got really excited for mixing these cute prints of florals and camo on my outfit shoot today. It's a tough look to pull off, i mean it is very contradictory to mix different prints, especially camo. I know I could pull off wearing florals if I wanted to and still look good on them. I just don't know if the whole look is a yay or nay. What do you think? I'm in love with your floral pants. 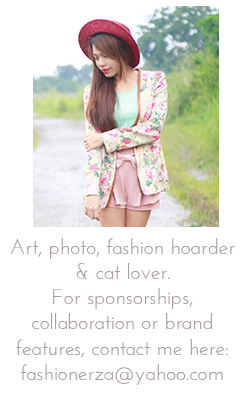 I don't really own one cause I haven't really embraced the floral pants but I love seeing them on other bloggers. Such a cute outfit!! love the pants and the top! i love print mixing so i definitely feel like it's a fun look! Your creative styling totally works here! I love all of the colors in this outfit. cute outfit! love the floral jeans, so pretty! Check out my blog, maybe we can follow each other on fb and bloglovin? Let me know, will add you back directly! You look so cute! I love the floral pants and tee, they are so fun! i love all the mixing of prints you did! And the shirt as well! Love your t-shirt and pants!! Hello cute girl!This is a really cute outfit. Thanks for visiting my blog. Would you like follow each other? OMG i have just discovered your blog and I love it!!!!! I have been reading all posts at once! I have just become newest fan!!!!! Hope you could stop by my blog and keep in touch! Amazing pants !!! 849° follower of yours !!! I wait you to see my new POST all emerald green ! A big kiss and have a nice day ! What about following each other here, Lookbook, Twitter & fashiolista? I like your outfit, the colors in pants is very beautiful! And thanks for the comments arias in the blog! I think it works great, especially since the patterns don't actually touch so it doesn't really seem to clash. Besides, camo and florals go hand in hand since camo is already derived from nature. This is so incredible together! lovely look as always!!! chic!! Following u now via Goggle +! I'm tottaly in love with your pants!! Cute! Love the floral leggings! Great Camouflage Pant and model in the images of this blog. Would you please give me some info. on Camo T-shirt.???? ?